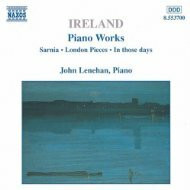 John Lenehan's first solo disc - a collection of Erik Satie's piano music - was recorded in 1991 in a freezing cold Farnham Maltings in the dead of night. Despite those unpromising circumstances the disc has remained in the catalogue ever since and has been much broadcast on Classic FM. Gramophone remarked " He shows a penetrating insight into this wayward composer and brings to the music a personal sensitivity and tenderness." 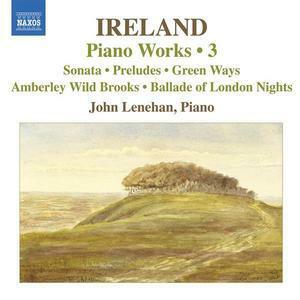 Apart from The John Ireland Concerto, John Lenehan's recordings with orchestra include the "Queen Symphony" with the Royal Philharmonic Orchestra for EMI, Michael Nyman's Piano Concerto with the Ulster Orchestra for Naxos and Vaughan Williams double concerto in which he is joined by fellow pianist Leon McCawley. The Queen symphony byTolga Kashif was inspired by the music of Queen and scored for large orchestra and choir with solo piano. The first performance at the Royal Festival Hall was filmed and is also available on DVD. The recording of Nyman's Concerto won a Gramophone award. 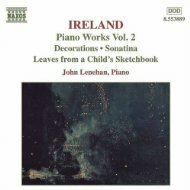 The magazine commented that "John Lenehan has always been the definitive Nyman pianist other than the composer himself." "Piano Classics" is a disc of some the most popular piano music ever written. It includes such favourites as Rondo a la Turca, Moonlight Sonata, Clair de Lune and the minute waltz. Recorded for the Signature label it can often be found in garden centres here in the UK! "Fight the Lion" was written for John Lenehan by Dave Heath. This virtuoso piece is a tribute to Muhammad Ali and its first performance was given in the Wigmore Hall in 1982. "The Quiet Room" (Sony) features John Lenehan in a triple role as pianist, composer and arranger. He performs numerous tracks including his own "Morning Song" and his arrangement of Barber's Adagio for solo piano. The 2 disc set also includes Lenehan's arrangements for string quartet of music by Einaudi. Classic FM comissioned the piano arrangements of "Ashokan Farewell", "You Raise me up" and "Home away fro home" which can be found on their popular triple album "relaxation".